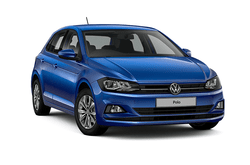 The comfort and style, both inside and out, is apparent from the very moment you see the VW Polo Automatic and this what has made the Volkswagen a well-known name for car rentals in the area. It’s a great vehicle for sightseeing, shopping, business travel family vacations, or any other travel needs. It seats 5 comfortably and has space for everything you need to take with you wherever the road is leading you. It comes standard with airbags and ABS, is highly fuel efficient, and is a great vehicle all around. Get yours today while you still can and see for yourself why it is the popular choice for car rentals in the area today!